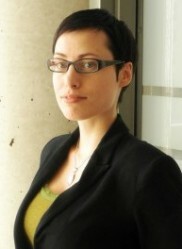 April Carrière is a Doctoral Candidate at the School of Political Studies at the University of Ottawa. Her main research interests revolve around collective capacity theories and practices. 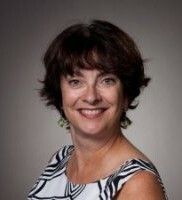 Through her engagement with the Ottawa Local Immigration Partnership, the Centre on Governance, the Welcoming Communities Initiative (WCI), the Diversity and Equity Research Group (DERG), and the Ottawa Multicultural Media Initiative (OMMI), her research has become increasingly focused on collective capacity as it applies to issues of equity, inclusion, integration, and civic participation. April has been contributing to the OLIP as a Research Associate since May 2009. For the past twenty years, Bill has provided organizational consulting support to organizations in the non-profit and public sectors. For ten of these years Bill was a founding partner in the collaborative work group and now practices as an independent consultant. 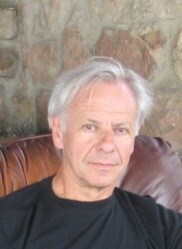 Prior to establishing his consulting practice, Bill served as the Executive Director of a national professional association, The Royal Architectural Institute of Canada, for twelve years. Bill’s formal education involved undergraduate studies in Literature, Psychology and Theology. He received a B.A. (English) from the University of Ottawa and a Bachelor of Theology degree from St. Paul University, Ottawa. Over the past fifteen years, Bill has been engaged in an intensive program of self-directed study in the areas of adult education, personal development, organizational learning and leadership. Bill is currently a member of the Association for Creative Change in Organizational Renewal and Development; and the Organizational Development Network of Ottawa. Meyer Burstein is Senior Fellow and Director of Policy and Planning for the Pathways to Prosperity Partnership, an initiative concerned with newcomer integration and welcoming communities, that he helped create. As an international consultant, Meyer carries out strategic reviews, evaluation studies, and policy and operational assessments. He works in the area of social and economic policy, research and knowledge management. He is the former Director-General responsible for strategic planning, research and analysis at Citizenship and Immigration Canada and was the co-founder of Metropolis, a pre-eminent, international policy-research project focusing on migration and diversity. 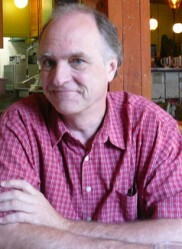 Meyer advises governments and other organizations on a broad range of policy, research and organizational issues linked to immigration and diversity. Denise Deby has more than 20 years of experience collaborating with others to address social challenges and promote diverse perspectives. Her expertise includes program design, management and evaluation, network and partnership development, organizational capacity-building, research and analysis, writing and communication. During 15 years with the International Development Research Centre, she developed several multi-partner, multi-sector initiatives on health equity, municipal governance and social development. 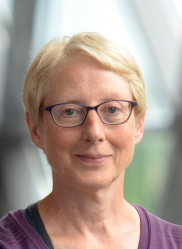 Denise has also worked as a researcher, commentator, evaluation facilitator and freelance writer focusing on local and international social and environmental justice, health, urban and community issues. She holds a multidisciplinary Master of Arts degree in International Affairs and certificates in French and in Writing for Publication. Her volunteer work extends to community development, housing, education and human rights. As Equity Ottawa coordinator, Denise facilitates a multi-sector partnership of organizations working toward equity and inclusion, supporting partners’ shared learning and leadership, progress monitoring, engagement and outreach. 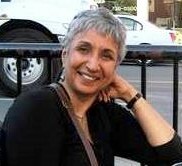 Over the past 30 years, Rashmi has been actively involved in social justice issues in the Ottawa community. These encompass areas such as poverty, youth, immigrants, refugees, women and violence, policing, health and social services, education, municipal government, and housing. 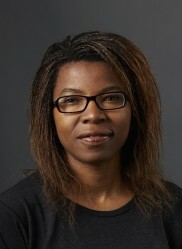 Much of her work has focused on encouraging and assisting local agencies, institutions, organizations and boards to promote and support policy and program development, curriculum development, and changes to organizational cultures and practices that will further meaningful equity and inclusion for racialized communities in Ottawa. Her commitment to these issues has been expressed through her work as Coordinator of a local education and advocacy group known as the National Capital Alliance on Race Relations (NCARR) and as a Consultant with the Ontario Anti-Racism Secretariat. From 1991 to 2014, these issues have also been at the forefront in her teaching and research work as Lecturer and Race Equity Coordinator with Carleton University’s School of Social Work. In these various capacities, Rashmi has had valuable opportunities to work collaboratively with different local, provincial, national and international government bodies, as well as organizations/institutions, professional associations, and grassroots community groups. Rashmi has also served as a Board member with Ottawa Community Immigrant Services (OCISO), Children’s Aid Society of Ottawa, Catholic Centre for Immigrants, and as President of Pinecrest-Queensway Community Health Centre. As well, for the past several years, she has been actively involved in a book project that will highlight the voices, experiences and journeys of racialized women in Canada. In recognition of some of her contributions to the Ottawa community, Rashmi received a Woman of Distinction award in 1994 and served as a Women of Distinction Ambassador in 2003. Suzanne Charest has over three decades of experience in communications and project management. During her career, she has led and supported the development and implementation of strategic communications plans for several organizations. She has a strong background in media relations, internal communications and branding. While working for international organizations, including the Canadian Red Cross and CARE Canada, she traveled on overseas missions to Haiti, Philippines, Iran, Kenya, Ethiopia and Turkey. Her work has also focused on the community, through six years working in health care and as the staff person responsible for immigration case work for a Member of Parliament. She studied business administration and public relations at Algonquin College. Hodan Egale graduated from Carleton University with a Bachelor of Arts, Honours in Political Science concentrating in International Relations. She joined the Ottawa Local Immigration Partnership during the spring of 2016. She has extensive experience in the private and public sector working within the financial and administration department. She is skillful in reconciling financial data, electronic records management, research and analyzing data, meeting preparation, bookkeeping and maintaining web content. 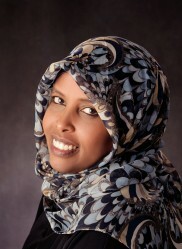 She worked at the Liberal Party of Canada, the Ottawa Police Service, Arif Enterprise, and Canadian Friends of Somalia. She is determined to make a difference in the community on a local and international level by inspiring youth to reach their full potential by providing leadership training. 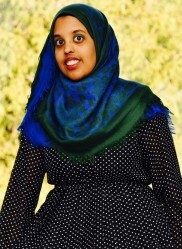 She volunteers in the education sector and is the Vice President of the Somali Canadian Youth Centre. She hopes and aspires to build a school in Somalia with the goal of helping out school of children have access to education. She is a recipient of the following awards: IWSO Community Award-Youth Leadership (2015), Honour Society (2007), Lieutenant Governor Award (2007), and Volunteer Award- House of Commons (2005). Nyamulola holds a Bachelor of Business Administration in Economics and Electronic Commerce from the University of New Brunswick. She has 18 years combined experience working in banking, research and not for profits, both in Zambia and Canada. Her expertise includes community partnership development, program management, research, creative design and photography. During the last 7 years, she has worked on key government funded projects mandated to improving immigrant integration in Ottawa. In the last 3 years, she has worked as the lead for the Welcoming Ottawa Week (WOW) initiative and played a critical role in its expansion and subsequent success. In addition, Nyamulola is a freelance photographer and her work is showcased in the photo exhibit “Faces and Stories of a Welcoming City” (2016 and 2017). She is also the founder of “Immigrants of Ottawa” a project that showcases the contributions and successes of new Canadians.